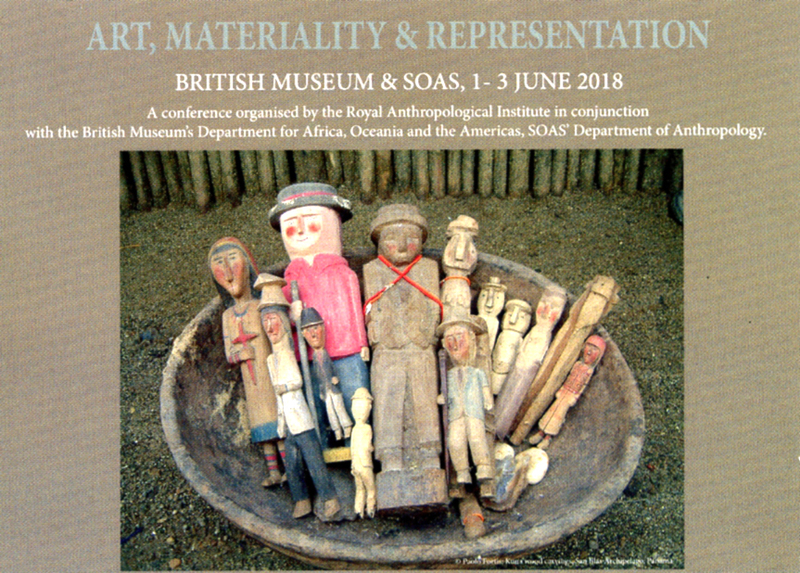 We are organising a panel as part of the Royal Anthropological Institute’s 2018 Conference, Art, Materiality and Representation, to be held at the British Museum and SOAS University of London, 1-3 June 2018. The panel, entitled ‘Museum Affordances: Collections, Interventions, Exhibitions’, relates closely to the [Re:]Entanglements project. Abstract: What do museums afford? What repertoires of action do they make possible? This panel explores the latent possibilities of collections, interventions and innovative exhibition practices, focusing on the material legacies of historical anthropological fieldwork and collecting in the present. The vast collections of objects, images and sound recordings from Africa, Oceania, America and Asia assembled during the colonial era remain a troubling presence in our cultural institutions. Increasingly museums are developing new ways of engaging with source communities and diasporic groups to facilitate intercultural dialogue, and yet the latent possibilities for action, understanding and meaning-making that ethnographic collections afford remains largely unexplored. Such affordances are relational and situational, and we are interested in exploring how possibilities for action change over time and become perceptible for differently-situated actors in different contexts. Many such possibilities may be regarded as ‘hidden affordances’ (Gaver 1991), and we are particularly interested in exploring the scope for interventions of different kinds to reveal and expand what these collections make possible. (Such interventions might include anthropological fieldwork, art practice, conservation, exhibition experiments, etc.) How, through exploiting innovative museological processes of intervention and exhibition-making, can the hidden capacities of historical objects, images and sounds be identified and actualised in the present? If you would like further information or would like to submit a paper, please contact paul.basu@soas.ac.uk or follow the instructions at the conference website.